One of our main focus is to create an exciting environment for visual arts enthusiasts by hosting regular photography exhibitions and building bridges between art makers and people who visit Artichoke. 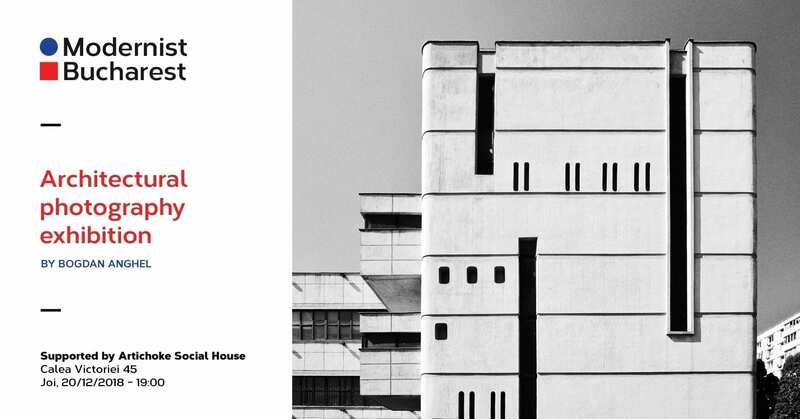 We host exclusively visual artists whose work deals with this Eastern European space some of us call home, so imagine our excitement when all details were put together for this new exhibition: Modernist Bucharest. Modernist Bucharest is the brand new baby of Bogdan Anghel who spends his free time hunting down the best of Modernist & Socialist buildings in Bucharest. Shot exclusively on film, Bogdan’s images reveal an aesthetic legacy often easy to overlook in this visually chaotic city. Come say hi to Bogdan on Thursday, the 20th at Artichoke.